Client barriers will differ for adults and children as children are dependent on parents/caregivers to initiate and attend therapy. Children may also lack the developmental maturity to resist interference and negative behaviours from parents/caregivers regarding the effectiveness of therapy. 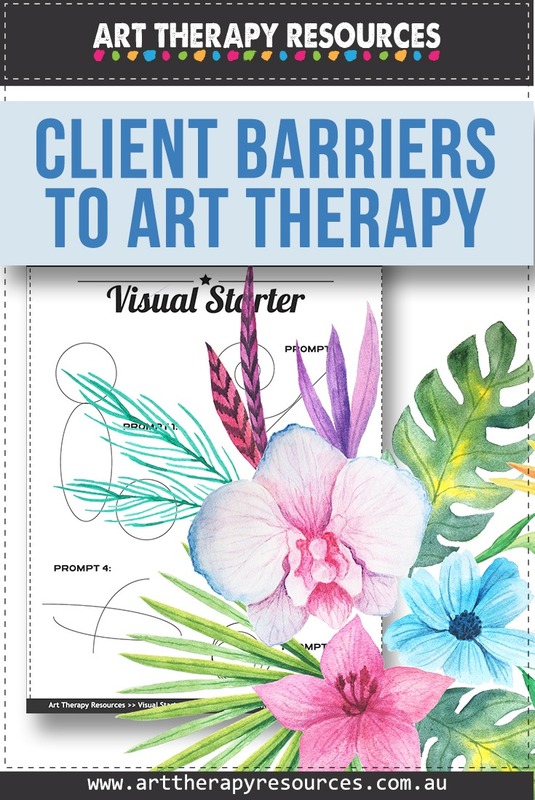 In addition to the psychological barriers to therapy, clients may also experience barriers to engaging in art therapy with a specific resistance to art activities. When working with your client, it’s important to determine the types of barriers your client may be facing. First, you should determine if your client is experiencing any physical or financial limitations in attending therapy sessions at your location. Attending therapy is your client’s responsibility, however, you may be able to assist your client by providing flexible access to your sessions. You may also be able to assist with any self-defeating attitudes around the benefits of therapy. If your client is experiencing pressure from outside relationships such as a parent, partner or other family members, you can engage in discussion with your client about these effects. Work with your client to create a strategy to minimize barriers. If you feel your skill level is not suitable for your client’s needs, discuss other types of services with your client and facilitate a referral if necessary. You may also be able to provide information and access to other community resources for your client to help with transport, financial assistance and childcare assistance if required. Use your website to publish articles, blog posts, videos and other media to explain your therapy process using your specific counselling approach. You can also provide information on the art therapy process and help address any possible barriers to your potential client engaging in art activities. As an art therapist, your role is to help your client decrease intrusive feelings of anxiety when participating in the art process. You should use basic terms for art materials and techniques and encourage your client to explore the art supplies and activities that appear interesting to them when they attend each session. At times it may appear that your client is using excuses to avoid attending therapy or engaging in art therapy activities. You may experience some frustration with what appears to be repeated disruptive or avoidance behaviours, however, it is important to facilitate discussion around perceived barriers and how you can work with your client to alleviate any concerns, anxiety or reluctance. 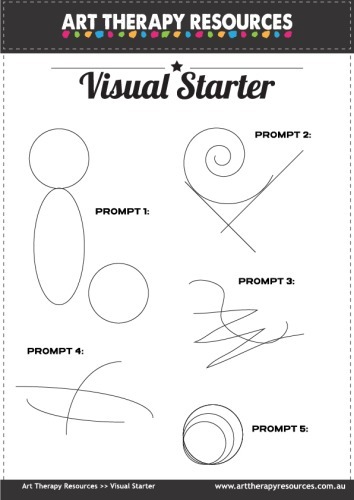 Download this visual starter worksheet to help your client get started on an art activity.